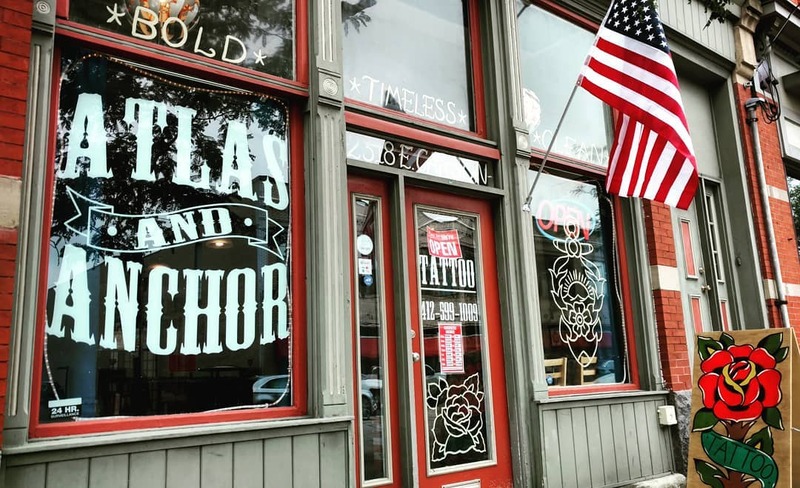 Established in 2017 by husband and wife Judah and Trisha Helsel, Atlas & Anchor Tattoo is devoted to providing high quality work and an enjoyable atmosphere for each and every client in our studio conveniently located in the South Side of Pittsburgh, Pennsylvania. We are open five days a week 12pm - 7pm, closed Sunday & Tuesday. We are always accepting walk-ins if time permits.